519 LANE LANE-Character filled 3 bedroom home or 2 bedroom with formal dining room, wide entry hall, wunderlich ceilings, country kitchen, updated bathroom. All set on a easy care allotment with side vehicle access to garage. Close to plaza in quiet location. A very modern 3 bedroom home that’s walking distance to Westside Plaza. This property consists of 3 bedrooms and open plan living. Modern tiled kitchen (including dishwasher) and lounge area with heating and cooling. All bedrooms have built in robes and ceiling fans for your comfort. Set on a quiet tree lined street with rear entrance via roller door and a well-manicured yard. Centrally located 3 bedroom home, 2 with built-in wardrobes, open modern kitchen/dining/lounge area, spacious newly renovated bathroom. Easy to maintain yard with carport and shed. Rear access to off street parking. 3 bedroom plus study solid home. Situated close to Railwaytown school. Master bedroom has built ins and ceiling fan, split system and ceiling fan in lounge room., bath with separate shower, large open plan dining/kitchen area, family room with wood fire, in ground pool with large entertaining area with ceiling fans. Large corner block property offers a very spacious home with tiled open plan living. The near new kitchen comprises of a standalone gas stove/oven with ample cupboard and bench space. Also separate shelving for the microwave. The whole house is ducted with an evaporative air conditioner to keep the whole house cool. 2 of 3 bedrooms offer built in robes and all 3 bedrooms are carpeted. Large windows to let the sun in, and good blinds to keep the room dark. Large office space in the CBD area! 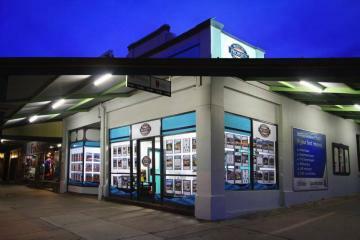 This large office space with front entrance reception area is located in the CBD. Ducted evaporative cooling, kitchenette and rear access to the building. Rent and lease conditions to be negotiated prior to the tenancy. 3 bedrooms plus sleep out! Solid 3 bedroom house, various split systems, recently renovated bathroom, large kitchen/dining area, low maintenance yard, large sunroom. Close to school and a quiet railwaytown location. 2 bedroom home with new carpet/lino and freshly painted interior, split system in lounge room for heating and cooling, big yard with front and rear access, also includes open shed and carport. Just reduced to $160 per week. INCLUDES 1 WEEK FREE RENT!! Quaint 3 bedroom cottage positioned over looking Broken Hill. Close to Morgan Street school, quiet area, modern bathroom and kitchen, large dining/family room. Off street parking. One bedroom unit with tiling throughout, carpet in the bedroom & lounge room, large kitchen with gas oven, bathroom with shower recess, ceiling fans, reverse cycle heating/cooling, under cover parking. Quiet location. This unit is a winner. It has one bedroom with a neat and tidy bathroom and kitchen which is well maintained throughout! Walking distance to town. Newly renovated three bedroom house! Newly renovated throughout, Includes 3 bedrooms, Modern kitchen and bathroom, floating floors throughout. Carport which will accommodate 2 cars. Neat and tidy three bedroom home, comprising of a carport and garden shed, close to school and shops. This property is situated in the north Broken Hill. Comprising of 3 bedrooms, open plan lounge/dinning, kitchen with walk in pantry, bathroom and laundry. Outside toilet only under back veranda, garage, rear lane access, shared driveway.